My sweet Mommy and Dad CJ are coming out to visit (from California) next week. We have big plans to decorate Baby Coco's little room. 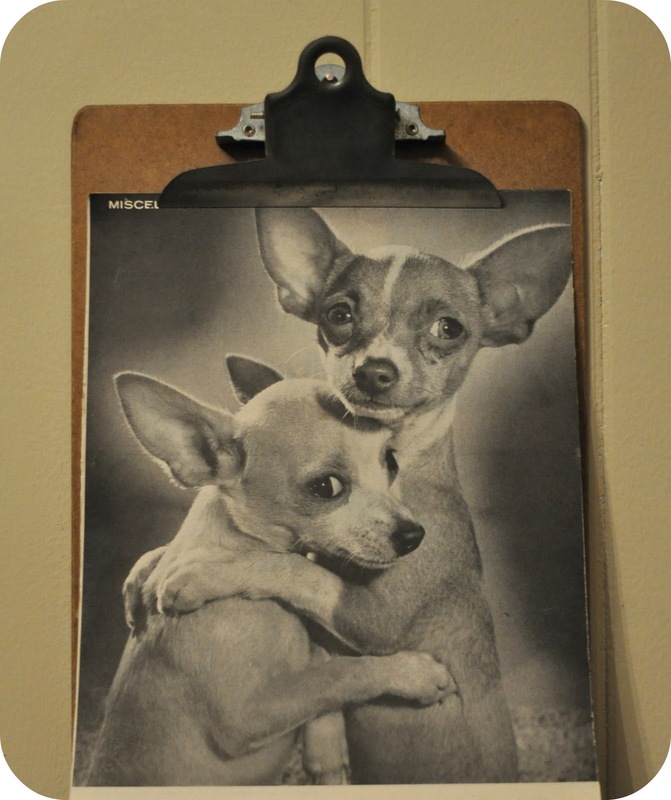 A friend dropped by today and gave me this adorable chihuahua photo and I'm thinking it just might need to go up in Baby C's room. 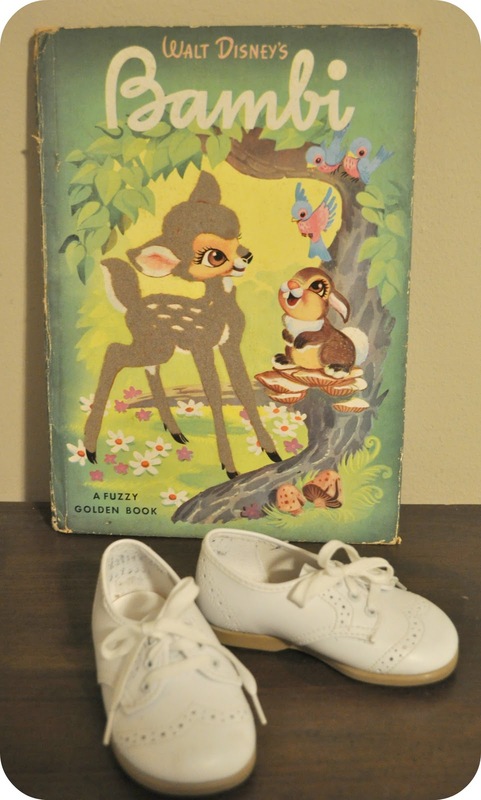 Daniel bought Baby Coco this vintage copy of Bambi last week. Dan is super excited about the babies bookshelf filling up. I think our amazon registry/wish list has more books on it than baby things. I can't wait to see Dan read to our little man. i LOVE that chihuahua picture! it is perfect! Tikki Tikki Tembo is def one of my fave kids books! I have a copy that I've held on to for years! I can't wait to read it to Baby Woo, I wonder if she'll remember Tikki Tikki Tembo's full name into adulthood like I do! tikki tikki tembo-no sa rembo-chari bari ruchi-pip peri pembo!!! one of my daughter's all-time favorites. you must include "the five chinese brothers" as well. *loving* all your treasures. happy thursday wishes. sending(((hugs))) and all my love. I love Tikki Tikki Tembo too. Sadly, my brother snagged our childhood copy. I think he ended up with Ferdinand too. Such a good book. aww that is soo cute. i love all the vintage stuff you find. OH DARLING! That must be hard and very difficult yet extremely rewarding! (extremely) Yes a bath will help protein will help too, some chocolate won’t do you had and a lot of rest! Am part Native American and when woman feel this way in such a demanding stage, they get a full body massage to relax and stabilize all the energy from the body, they eat sweet natural things like honey to brighten up the day, and some sweet cinnamon tea.